The word ‘nativity’ doesn’t usually relate to the words ‘hip’ and ‘cool’. 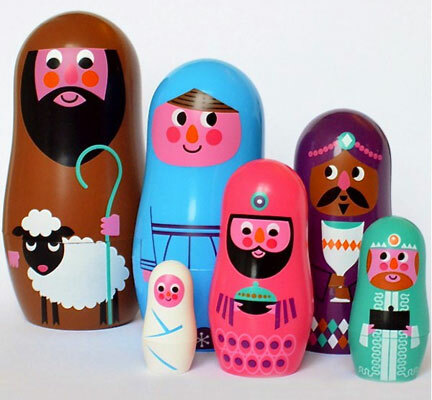 Unless we’re talking about the Ingela Arrhenius Nesting Nativity Dolls by Omm Design. Yes, the much-loved Scandinavian designer is on hand to add a little something to your festive display, specifically with a set of nesting dolls featuring Mary, Joseph, three kings and of course baby Jesus. All in that trademark Ingela Arrhenius style. Good for play, even better for display. They are suitable for ages three and up, selling for £19.95 per set.